What happens when demand for oil peaks? Published with permission of the World Economic Forum. Since the First Industrial Revolution, oil and gas have played a pivotal role in economic transformation and mobility. But now, with the prospects that major economies like the United States, China and European nations will try to shift away from oil, producers are coming to realize that their oil reserves under the ground – sometimes referred to as “black gold” – could become less valuable in the future than they are today. Forget peak oil: what about peak demand? Of the four scenarios for the future of the industry outlined in a new set of whitepapers from the Global Agenda on the Future of Oil and Gas, three of them envisage this type of world. 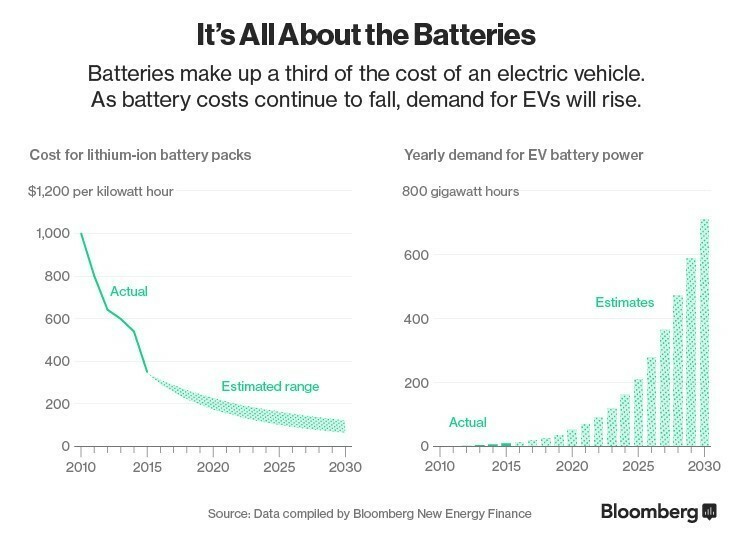 Factors such as technological advancements, the falling price of batteries that power electric vehicles, and a post-COP21 push for cleaner energy could even drive oil use below 80 million barrels a day by 2040 – 15% lower than today. So what would a future of falling demand mean for the oil and gas industry? Uncertainty about whether oil demand will continue to grow is already impacting the strategies of oil and gas firms. Through the 2000s and up until last year, the Organization of Petroleum Exporting Countries (OPEC), whose policies influence global oil supply and prices, took a revenues-oriented strategy, believing that scarce oil would be more valuable under the ground than out in the market, as global demand rose exponentially over time. Oil companies, too, responded to this world view by pursuing a business model that maximized adding as many reserves as possible to balance sheets and warehousing expensive assets. Now, with new trends discussed in a new whitepaper, producers are coming to realize that oil under the ground might soon be less valuable than oil produced and sold in the coming years. This dramatic shift in expectations is changing the operating environment for the future of oil and gas. Countries with large, low-cost reserves, such as Saudi Arabia, are rethinking strategies and will have to think twice about delaying production or development of reserves, in case they are unable to monetize those reserves over the long run. Saudi Arabia, for example, has recently announced that it is creating a $2 trillion mega-sovereign wealth fund, funded by sales of current petroleum industry assets, to prepare itself for an age when oil no longer dominates the global economy. Declining revenues that could be reaped from exploitation of remaining oil reserves would adversely affect national revenues in many countries that have relied on oil as a major economic mainstay. Those countries will face pressing requirements for economic reform, with the risk of sovereign financial defaults rising. But for the majority of the world’s population, structural transformations related to the future outlook for oil and gas offers an opportunity. If the global economy becomes less oil intensive, vulnerability to supply dislocations and price shocks that have plagued financial markets for decades will fade, with possible positive geopolitical implications. Moreover, many countries have reeled under the pressures of fuel subsidies to growing populations. 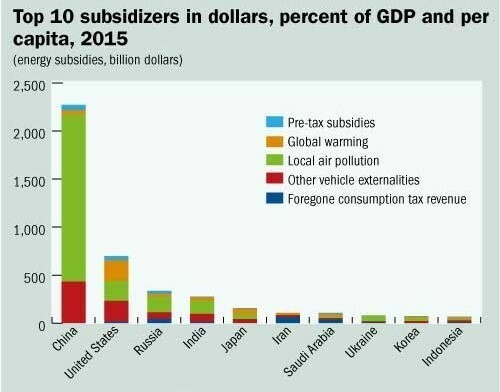 According to the IMF, fuel subsidies cost $5.3 trillion in 2015 – around 6.5% of global GDP. Lower oil prices and larger range of alternative fuel choices would reverse this burden and lay the groundwork for shallower swings in prices for any one commodity. Eventually, players who remain competitive in the oil and gas industry will have to consider whether it can be more profitable to shareholders to develop profitable low-carbon sources of energy as supplement and ultimately replacements for oil and gas revenue sources, especially to maintain market share in the electricity sector. This will require a change in the oil and gas industry investors’ mindset. To develop this flexible, supplemental leg to traditional oil and gas activities, the oil and gas industry may find new opportunities by addressing the technological challenges associated with the different parts of the renewable energy space, as well as how one can develop efficient combinations of large-scale energy storage and transportation solutions in a world with a lot of variable renewable electricity. Industry players can benefit from partnerships for flex-fuel technologies to ease infrastructure transitions and improve their resiliency to carbon pricing by achieving carbon efficiency for end-use energy through collaborations with vehicle manufacturers and mobility firms. Such responses will enhance the industry’s attractiveness with customers and investors, and most importantly, will promote a smoother long-term energy transition. The three whitepapers are available here. Click here for slides associated with ITS-Davis’ Oil Demand Scenarios study. Click here for the initial paper on ITS-Davis’ Oil Demand Scenarios study. Author: Amy Jaffe and Jeroen van der Veer. Amy Myers Jaffe is a leading expert on global energy policy, geopolitical risk, and energy and sustainability. Jaffe serves as executive director of energy and sustainability at the UC Davis Institute of Transportation Studies (ITS-Davis), and as a lecturer in the Graduate School of Management. Jeroen van der Veer was the chief executive officer at Royal Dutch Shell from 2004-2009, when he retired. Van der Veer then continued as a non-executive director on the board of Shell until 2013. He started to work for Shell in 1971 and has experience within all sectors of the business. In addition, he is the chair of the supervisory boards of ING Bank and Royal Philips Electronics and member of the supervisory board of Boskalis Westminster Groep, and has significant competence within corporate governance. Jeroen van der Veer has been a member of Statoil’s board of directors since March 2016.